Good morning, or afternoon, or evening... whatever time of day you are reading this! 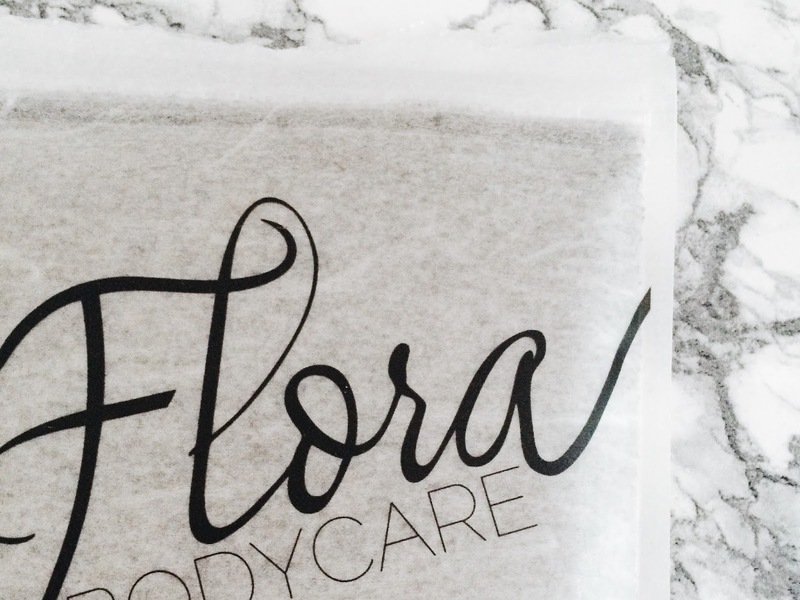 Today's post is in collaboration with the lovely people at Flora Bodycare. They recently sent me one of their scrubs to try out and oh guys...it's gooooood. 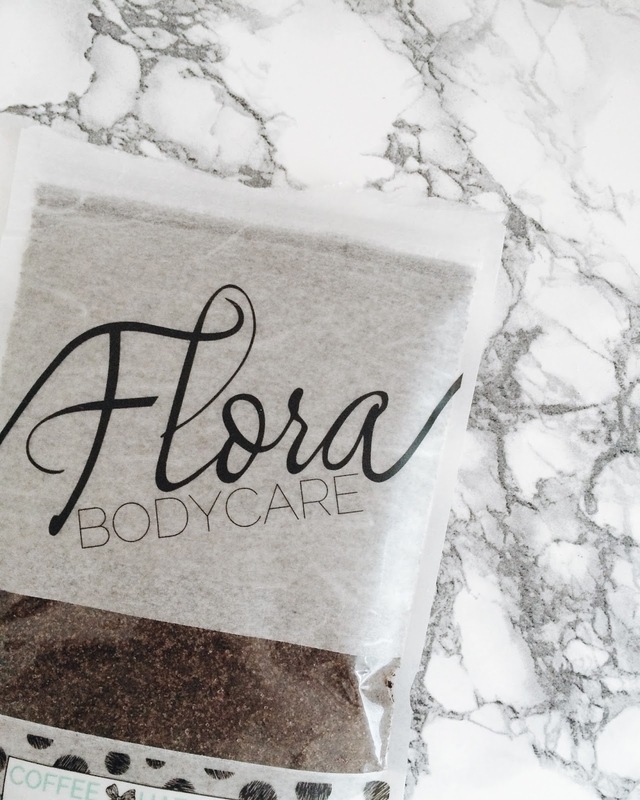 Flora Bodycare are based in Canada and create cruelty free, vegan and 100% natural scrubs and they are just absoloutley fabulous. Also, they're packaging is also environmentally friendly and recyclable, which ticks all the boxes in my books! I'm absoloutley obsessed with the smell of coffee, so obviously when given the choice between Vanilla & Coconut and Coffee & Hazelnut, I just had to go for Coffee & Hazelnut. 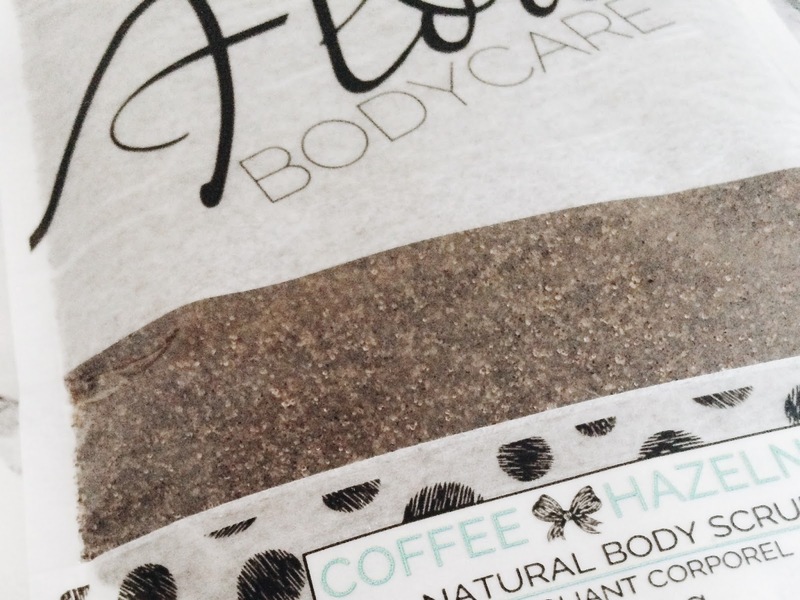 The scrub smells absoloutley ah-maze-ingggggg (maybe not to you coffee haters out there, but to me, yum!) and it just makes me feel like I'm sat relaxing in a pool of coffee.. bizarre thought, but you know, I'm weird. I pour some of the scrub into a little tub to take into the shower with me and then grab a handful and just scrub-a-dub-dub all over. Head to toe...actually maybe shoulders to toe. The suggested time to use it for is 5-10 minutes, but I just wash it away once I'm done scrubbing. 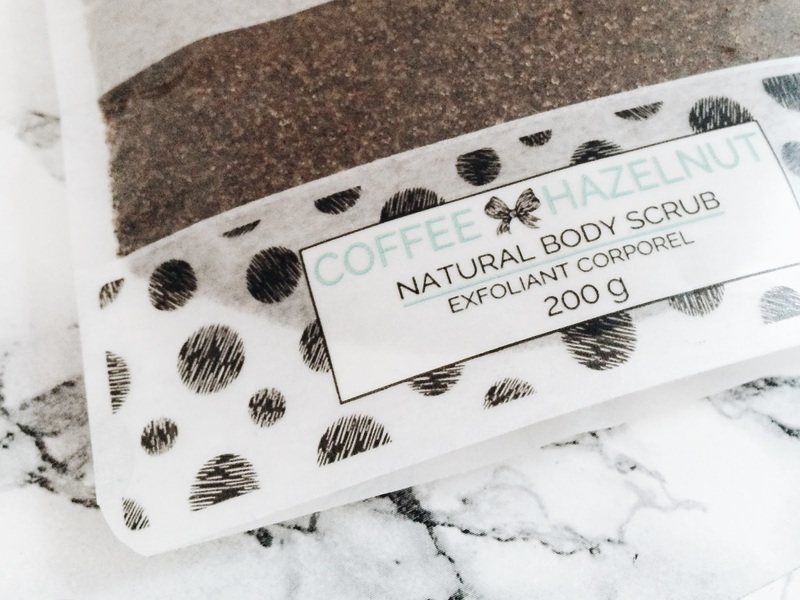 My skin is feeling much softer and it has been great for the KP on my arms. 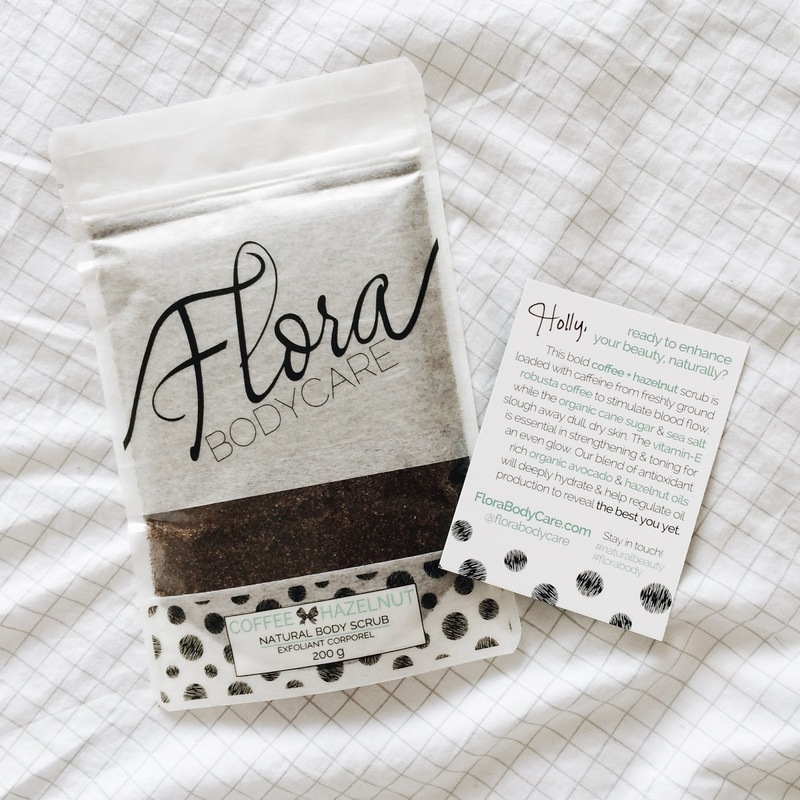 I have really sensitive skin and if you read my blog frequently then you'll know I'm a big fan of scrubs for keeping my skin clean and clear. This scrub is definitely up there with my one true love Lush's Ocean Salt and that says a lot! Anyway, definitely go check them out - they are fab! I bought the figs scrubs for my wife and she loves them. They fit true and do not bleed on washing. The fabric is good quality and we're, both, very happy with our purchase.